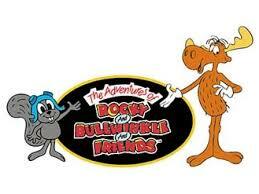 On November 19, 1959, Rocky and Bullwinkle saved the world for the first time. The show was witty, but outrageously poorly animated, yet it ran for six years and eventually became a cult classic, inspiring all sorts of spin-offs. Between Rocky and Bullwinkle, Boris and Natasha, Dudley Do-Right, and Snively Whiplash, right always wins, until next week’s cliffhanger is set up. Personally, my favorite is always the Fractured Fairy Tales, but the puns are just great everywhere. I think we’ve all attended Bullwinkle’s alma mater, Wossamatta U. If you get started early enough, you can also celebrate Carbonated Beverage with Caffeine Day while you watch (yes, that is a thing). Just don’t come crying to me if you can’t sleep tonight!